Happy Sunday and welcome back to my blog for another open letter! A lot of things- both good and not so good, happened over this last week! I’ll talk about the good things first, because there are more of those. 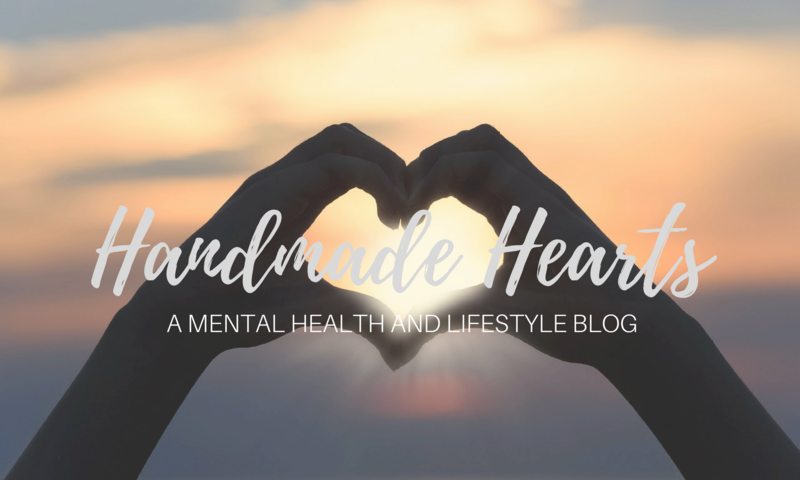 I was really proud of myself for being productive this week- one of the best things that I did (in my opinion) was create an email list for my blog! If you visit my website now, there is a pop-up that allows you to sign up for email updates, and you can sign up on Facebook too! But in the future, I’m planning on sending out weekly emails regarding my blog, hopefully Birthday emails too! My open letters on this blog are a great way for me to keep in touch with all my letters, but using email systems is a way to get even closer. Getting close to my readers is so important to me- part of the reason why I started this blog was because many of us struggle with mental health issues all by ourselves- they are hard things to open up about, because while we expect other people to go through the same types of things, we still don’t know who will actually get what it is that goes through our minds, and what it feels like to have those thoughts go through our minds. I started this blog so that I had a way to open up about the things that I think about and the things that I struggle with. In the 8-9 short months that I’ve had this blog, I’ve come across so many kind people who care about this issue too, and sometimes will even take a moment to ask me how I am or let me know that they “hope I’m doing okay” if I ever sound like I’m hurting a little. Even though I’m still learning to be a better blogger, these types of interactions let me know that if anything, at least I’m doing okay at tying my readers as close as I can; at least I’m finding and successfully reaching out to a crowd that cares about mental health. Other great things happened this week include that I found my way of using makeup to bring out my best while keeping out my worst. As I said in previous blog posts, makeup at its best is an art-form, not a way to cover things up. That’s the way I think of it- it can be used to increase confidence and promote self-love, but the lack of it should never decrease confidence or hinder self-love. I realized that although not wearing makeup is helping me in terms of allowing me to be more open with other people, eye makeup is just something that is genuinely fun to me. Plus, one of my best friend’s just got me Colourpop’s Polite AF shadow kit and I’d been dying to try it out more (not literally). And so I went for it! For my readers that don’t know me personally- I’m obsessed with Colourpop. It was a brand that I heard about from one of my friends, and ever since I’ve been obsessed with their high quality but super affordable makeup. What I really like about their brand though is that they have makeup that can look good on anyone– any race, any skin color. Which brings me to another thing that I’m planning to talk about more on my blog- as a woman of color, I really want to focus a few posts on the things faced by people of color, but especially women of color, that can impact mental health. There are so many things to talk about here, Finding makeup that matches skin tones is a very small issue of that bunch, but still a clear example of the ways in which women of color lack representation, or are misrepresented. These are going to be a very interesting group of blog posts, so keep your eye out for those! I want to end this open letter on a more positive note- by talking about literal positivity, and how amazing that is for your brain. As I mentioned in previous posts, I’m taking a class right now about how Drugs influence behavior. One of the most interesting things that I’ve learned about in that class is the power of expectation on the way that different drugs can influence your body: in various studies involving Placebos (fake drugs taken with the expectation of being the actual thing), it’s been found that people who have taken placebos have responded to the placebo like its the real thing- both socially as well as physiologically. There have been placebo cancer treatments and surgeries too that have the same results. The reason that your brain responds the same way is because your frontal cortex makes the decision to exert a certain kind of behavior in response to the expectation of the effect the the drug will have on you- in other words, the reason why you start “acting drunk” after drinking alcohol is because your brain expects the alcohol to get you drunk. If you had non-alcoholic drinks under the assumption that they were actually alcoholic, you would be tricked into acting the same way! How does this play into positivity? You can treat positivity like the Placebo effect: if you always expect positive outcomes, Your brain will direct your behavior with the expectation of that positive outcome. Not only will you be positive, but it also means that everything that you do will inevitably lead you to success. I’m not at all saying that everything will work out exactly the way you expect it to- it’s no secret that things will not always go your way, and sometimes you will face outcomes that seem unfavorable. But the trick here is to keep treating each outcome like a success- only let yourself think about how the outcome is going to help you, and keep expecting positive outcomes. What was the worst thing that happened to you this week? My favorite ice breaker (don’t ask why…. or ask, I’ll answer 🙂 ): how do you eat your bagels? Do you eat each side separately, or do you eat it like a sandwich with cream cheese in the middle? Thank you so much Lillian!!! I love your open letters.